I recently discovered a list on ucityguides.com of the 10 Ugliest Cities in the World. Amman, Jordan, made the list. As one might imagine, having Amman listed as one of the World’s ugliest cities has generated quite a bit of controversy amongst my Jordanian friends on Facebook. I have the advantage of viewing Amman through the eyes of both a foreigner and a local. I spent three years of my life there, and have been back and forth several times since moving away. Amman also holds special significance for me in that it is Zena’s birthplace and hometown, as well as the place where we met. For me, it’s a city of family, friends, and memories. That said, I remember arriving in Amman for the first time. My first impressions of the city come flooding back to mind as if it were yesterday. I remember my initial weeks of discovery, which lead into months and years learning and gauging the city’s pulse. And if I bypass the emotional attachment that I have for the city, I can certainly see why a traveler with fresh eyes may classify it as ugly. 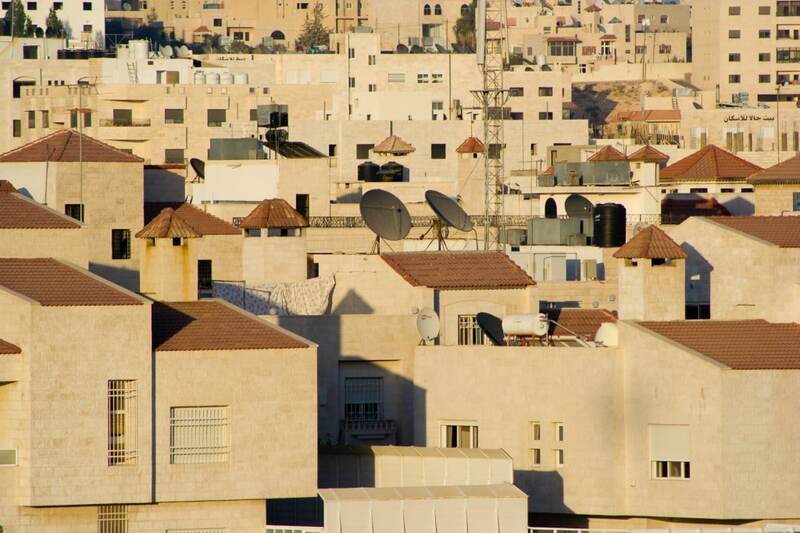 One of the first thing that strikes visitors to Amman is its homogenous, monochrome character due to the fact that the majority of the buildings are constructed from white stone. This makes sense from a physics perspective, as Amman is technically a desert city and the white stone offers less heat absorption in the summer. The city is largely devoid of vegetation, and there are very few natural areas which to enjoy. It doesn’t rain in Jordan 3/4 of the year, so Amman becomes dusty and dirty due to lack of water. Amman’s homogenized, monotone buildings work well in a desert environment, but don’t do much to add to the city’s flair. From a distance, the city looks interesting (if you squint). Upon closer inspection, however, one may note that most areas are run down and have become a bit of a mess. Take the area of Swefieh for example; it’s a relatively “new” area of the city, yet it is plagued by crowded, dirty, one-way streets. The buildings are filthy and neglected. There is trash on the streets. Avoid at all costs. Chaotic, jumbled streets. Too many cars on the road. Cacophony of horns. Rude drivers. No expressways, so traveling across the city during peak times may take hours. Aside from wandering around the ancient downtown of Amman (known locally as Al-Balad), there isn’t much for tourist to do. Don’t expect to run across any public festivals or cultural events. If it’s entertainment you’re looking for, you’ll most likely have to search long and hard to find it. Most of the locals entertain themselves through social gatherings at restaurants, cafes, hookah bars, and malls. Amman hardly resembles a capitol city in the same way that other capitols do (think Paris, Prague, Brussels, Budapest, Athens, or Washington DC). There are no recent notable monuments, grand public spaces, or large museums dedicated to Jordanian culture. Aside from a few scattered Roman (and pre-Roman) ruins, most of the attractions that Jordan has to offer are located outside of the capitol. Up until recently, Queen Alia International Airport airport – the main entry point and a tourist’s first impression of Jordan – was aging and dilapidated. The recent addition of a new terminal in March 2013 has helped to bolster first impressions, but I understand how anyone entering the country before then might be completely underwhelmed. Essentially Amman is more of a transit point in and out of Jordan. Most tourists don’t stay very long before heading out to other sites throughout the country. Amman is in Jordan, a peaceful and amiable country in the center of a tumultuous Middle East. The eye of the storm, so to speak. Travelers in Jordan have very little to fear when it comes to personal safety. 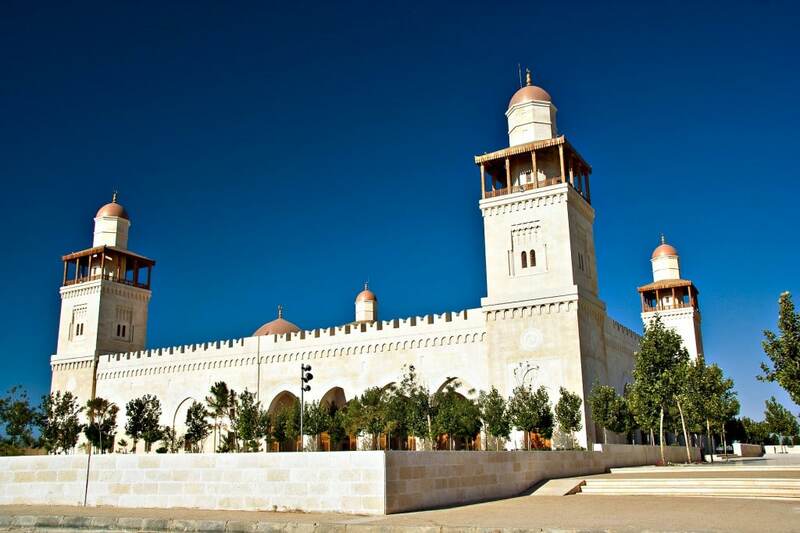 The King Hussein Mosque is one of Amman’s newest, largest, and most striking mosques. The Jordanian people are generally friendly, inviting, and welcoming of visitors. Tourists need only to express a desire to learn about Jordanians and their culture in order to receive numerous invitations for tea. Many locals have a passing understanding of English and are more than happy to practice their English with tourists. Despite its shortcomings, Amman possesses a certain charm. It may be lacking as far as capitol cities go, but invest enough time in the city and you’ll grow to love it. You’ll discover the niches, streets, and cafes that Amman residents have grown to love. And you’ll slowly begin to understand why Ammanites take offense to Amman being listed as one of the World’s ugliest cities.